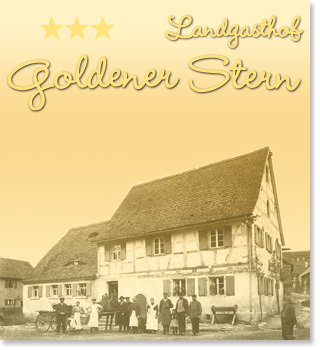 WELCOME TO THE COUNTRY INN „GOLDENER STERN“ Our country inn Goldender Stern in Trautskirchen looks back on 100 years of tradition run by family and is one of the top restaurants in the region. Our village, awarded by the Bavarian Ministry of Environment for the conservation of natural life area is located in the romantic Zenntal valley, surrounded by wooded landscape. You can expect around 45 km of marked trails and a new bike path..
Our comfortable dining rooms are available for various celebrations and meetings. We can also count more and more Fair Visitors ( Toy fair, IWA Nürnberg) as our loyal customers. Our restaurant is closed on Thursdays.